Boots: Tod’s. Skirt: Junya Watanabe. Sweater: Zara (also love this fair isle one and wore this outfit with this sweater). Jacket: Sold out, similar here and here. Sunglasses: Karen Walker. Thank you to Nordstrom for partnering on this post. 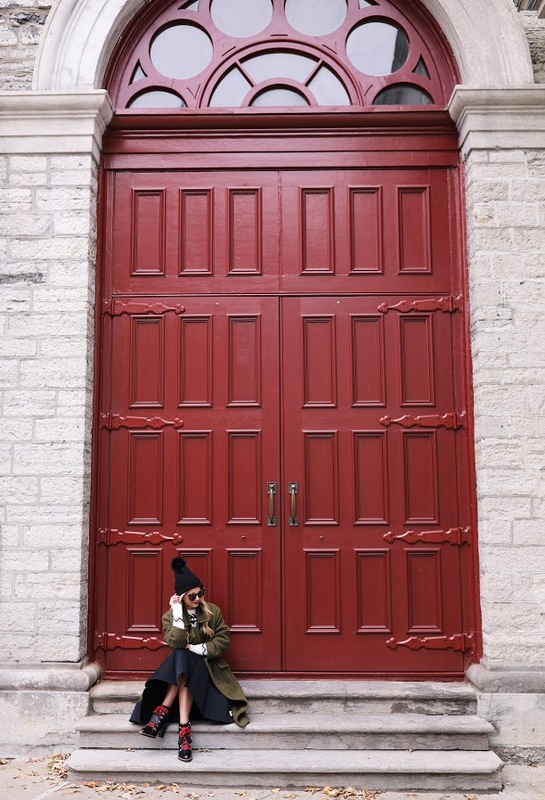 Love Quebec City! This makes me want to visit there now. I love the layers on this cozy outfit! What a fun winter look! Love it! Enjoy Quebec it's beautiful!! That skirt is beautiful! It's an amazing outfit and the pictures look gorgeous. Que look tan genial, me encanta la mezcla de la falda lady con las botas. Love the outfit! 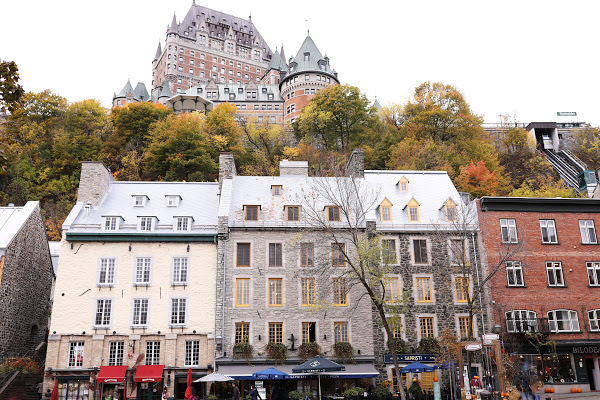 And I've always wanted to visit Quebec, but these photos convinced me that I need to! This is so cool! I would love to go there!! Outstanding outfit!!! Your coat and boots are superb, seasonal "must have" pieces! How cool are those boots? They are like a girly version of construction boots 🙂 Love that trench coat too. I had just put away my midi skirts with my summer clothes, but this post makes me want to break them out again! I also love those cute boots you're wearing! Your jumper looks so nice and wintery! What a beautiful city! And I love the cozy layers in your outfit. Hope you have a wonderful weekend! I love how the outfit matches perfectly with the environment! Such a lovely look! 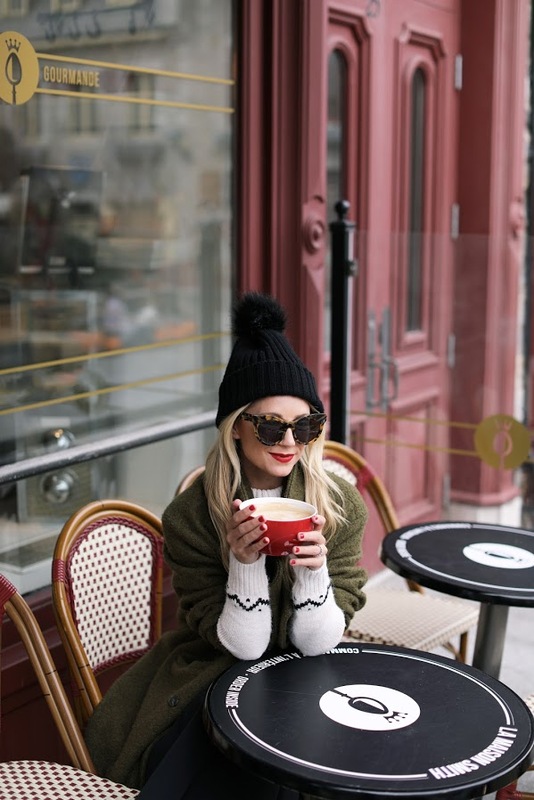 This is the perfect chic look for winter! The midi skirt looks amazing paired with chunky sweater and lace up boots! Such an amazing fall outfit and I'm so in love with the coat! 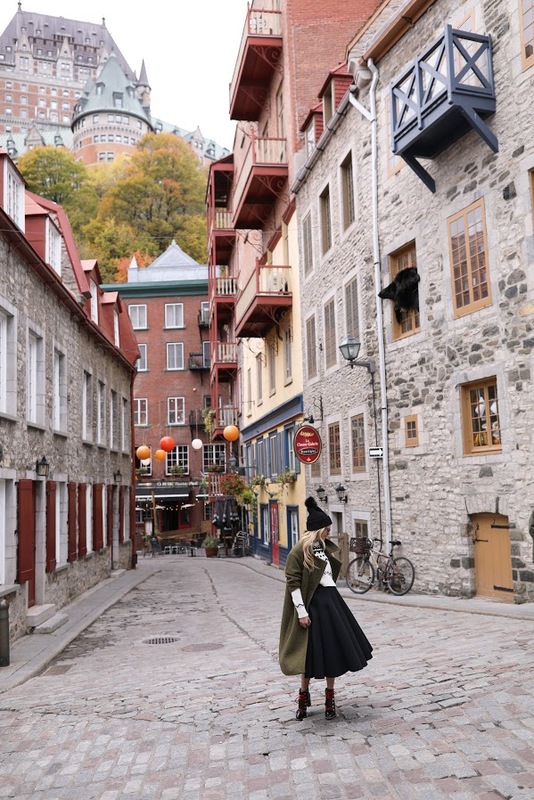 I've always been interested in Quebec, it's very beautiful landscape. So European like! Wonderful pictures!!! Great look and absolutely amazing shoes!! These shoes are just fantastic! 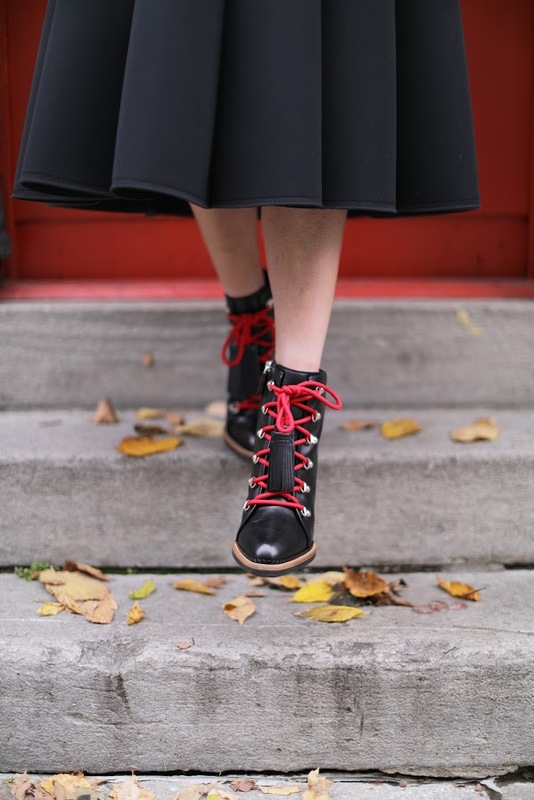 love those Tod's boots! they've been making fierce boots lately! Stunning and lovely! So cozy! I love everything in this post, everything featured is just perfect for fall! I really love the army green jacket! These boots are what dreams are made of! You're killing it per the yooj babe! Incredible look! I love every single aspect of this, from the perfect shade of forest green, to accessorising with black all the way to your delightfully painted nails! Plus, what a stunning location!! I love this wintery combination! So classy as always!